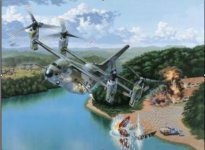 Unique in the preliminary design features of the Quad Tiltrotor is the use of two V-22 type wings, forward and aft. Each wing of the Quad Tiltrotor will have an engine and proprotor mounted to the outboard tips similar to that found on the V-22. 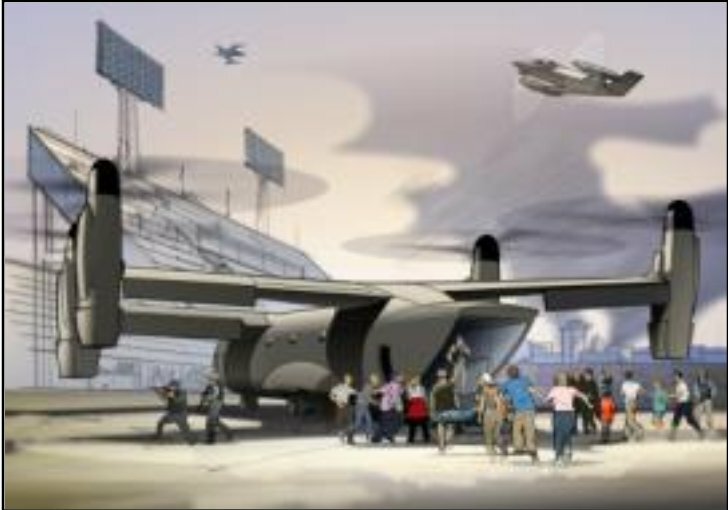 Significantly larger than a V-22, the Quad Tiltrotor could carry over 90 passengers. 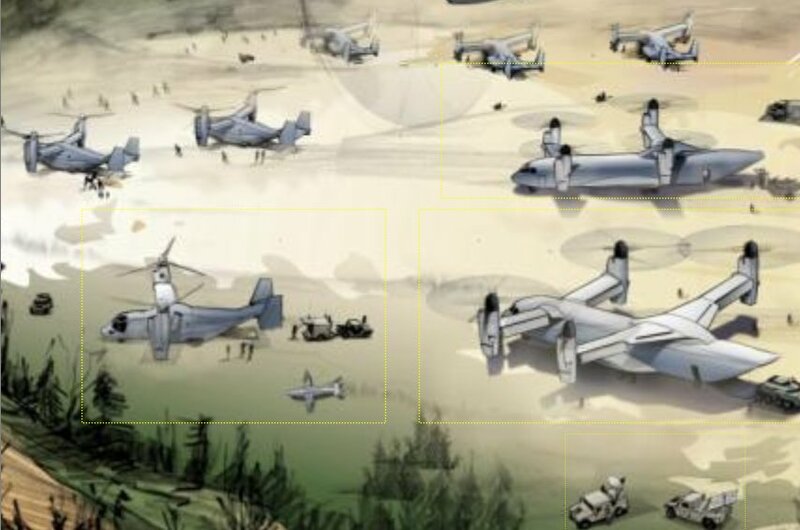 Building on the success of the V-22, Bell's Heavy Lift, Quad Tiltrotor (QTR), has been in development since 1998. This is a 150,000 lb C-130-sized aircraft that will employ all the benefits of a tiltrotor with the load carrying capacity of a cargo plane. Bell has been working with DARPA on 3 consecutive contracts to reduce the risk of building a full-scale demonstrator of the QTR. DARPA has sponsored the development of an overall QTR technology roadmap, and shared the cost for hover model and wind tunnel model testing. This aircraft will be able to vertically deliver a 20-ton payload 500-1000 miles. 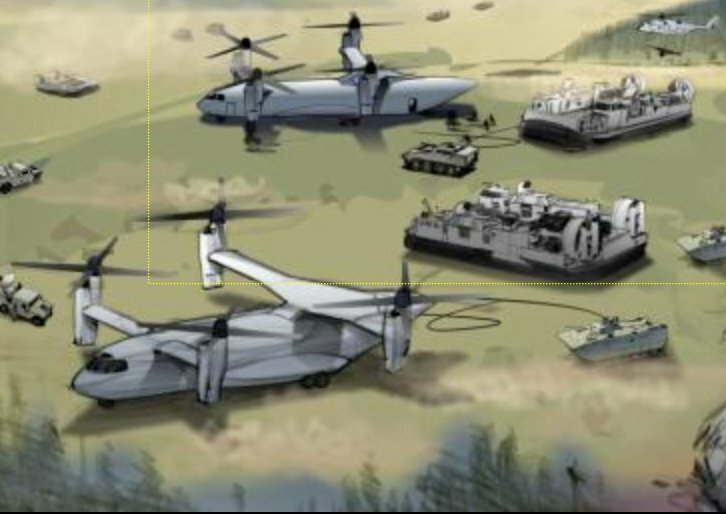 Specifically designed for compatibility with the Army's Future Combat System (FCS), the QTR will be able to move the Army's Objective Force equipment and personnel from both strategic airfields and logistics ships directly to the battlefield. More importantly, it will not need an airfield - prepared or unprepared - to land upon. 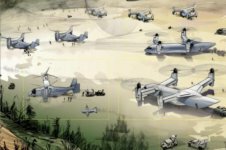 The Quad Tiltrotor will allow the Marine Corps to move its personnel and major equipment packages (up to 20-tons) from the Enhanced Naval Sea Base directly to objectives far inland. Anti-access actions by the enemy will be rendered impotent, because the QTR will bypass the beaches and seaports that may suffer from port denial and mining threats. The QTR can relieve the need to completely clear the expected shallow water mines that threaten an amphibious assault. A Special Operations variant will provide organic firepower and refueling capability to the Special Operations Forces to increase their effectiveness in their crucial special missions. Its ability to hover makes the QTR capable of landing anywhere on the battlefield or in the urban environment to evacuate the civilian population or military forces under terrorist threat, or during natural or manmade disasters. The Army is calling for a deployment capability to include vertical envelopment. It accurately states that there are not enough runways around the world that are capable of handling today's workhorse intra-theater airlifter, the C-130 Hercules cargo plane, to allow the medium force to reach its goal of deploying a brigade in 96 hours anywhere in the world. This is where the Bell Quad Tiltrotor, or QTR can make a difference. 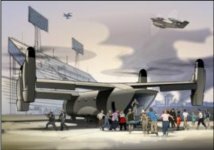 This concept aircraft can lift the Current or the Future force directly to the battle and supply that vertical envelopment the Army requests. The QTR has a fuselage larger than the C-130, and the capability to strategically self-deploy - with a 20 ton payload - and move combat forces forward without the need for runways or airports. 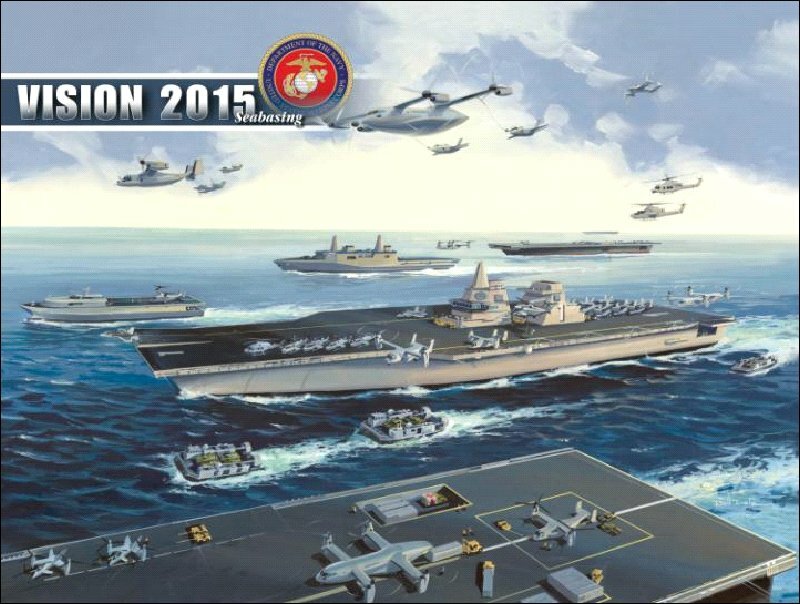 Massive supplies are needed to sustain engaged forces on the battlefield. Moving those supplies through choke points can hamper the effectiveness of even the most potent fighting force. 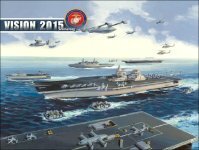 These choke points provide the enemy an opportunity to interdict these supplies using asymmetric warfare techniques. The QTR can eliminate these choke points, counter some of the asymmetric opportunities, and provide multiple supply routes, causing the enemy to have to cover every possible route and complicating his defenses. Advanced technology work in the field of flow control is still underway to reduce QTR drag and increase payload by reducing download. More producible actuators are being investigated, and additional wind tunnel tests are expected to show drag reduction at Texas A&M. Flow control actuators appropriate for production will be considered for all Tiltrotors to improve performance. As of 2005 the Quad Tiltrotor was in its third of four planned engineering design contracts with the Defense Advanced Research Projects Agency (DARPA).